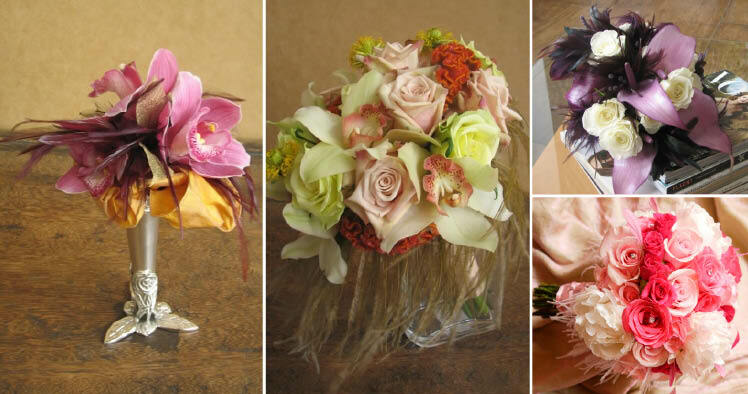 Add a touch of whimsy to your bouquet! Spice up your florals with feathers! We love the look these feathers add to the already beautiful flowers. Find the flair you’re looking for! Flowers by Cocktails and Caviar (bottom right) and Urban Blossom (left, middle, top right).